My fav picks this month! I have just recently heard about Lorna Jane activewear (I know I know it’s like I live under a rock!?! ) But seriously, love this brand. They have so many cute tank tops with inspirational quotes and lots of bright colors to choose from! I love me some colorful workout outfits! This entry was posted in Fashion and tagged activewear, lifefactory glass bottles, Lorna jane, lululemon, Manduka Yoga Mat, Nike on 05/23/2014 by carag. 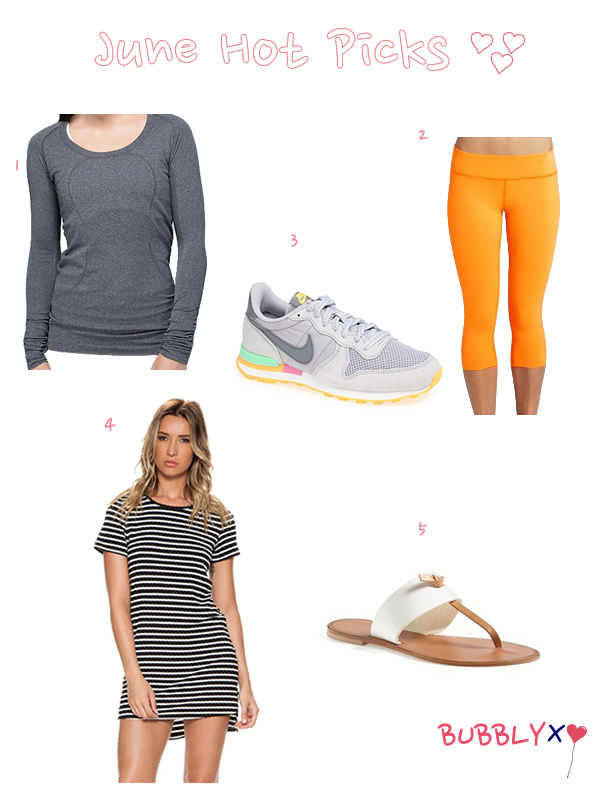 This month’s hot picks are all about the spring colors. I love the Lifefactory glass water bottles, they are BPA free and super cute too! This entry was posted in Fashion and tagged beyond yoga, lifefactory glass bottles, lululemon, Workout wear on 04/29/2014 by carag.